Audrya Flores' fascinating assemblages are representations of her innermost struggles and the subconscious imagery present in her dreams. I was drawn to Flores' work because of the way she is able to share this deeply personal symbolism in such a beautiful and powerful way. Read on to learn more about Flores' work and influences. Detail, Hand Talker, Assemblage, Image Courtesy of the Artist. I am very influenced by the occult. Since I was a small child, I have been intrigued (and terrified) by ghost stories. The supernatural has always been a very real thing in my world. I blame it on my Catholic upbringing: spirits, holy ghosts, body and blood, altars, devils, demons, all that good stuff. I come from a long line of fiber artists. And while I have absolutely none of the sewing/crocheting/knitting/quilting skills of my mother, grandmother, great-grandmother (and so on and so on), I appreciate the nature of fabric. It flows and drapes and sometimes seems to be alive. Every once in a while, when I unroll a piece of particularly special fabric, it genuinely takes my breath away. This awe that I feel is the result of being around these women. I’ve picked up some tips for pattern-making, too, which plays a huge part in my artistic process. And I got my hair caught in my mom’s sewing machine once, so I feel fully initiated into the world of fiber. I am driven by a need to heal myself. I struggle with generalized anxiety disorder and creating art has been instrumental in keeping me healthy. It creates a quiet, dark place for me to go. I am able to examine and monitor my thoughts and feelings there. Showing my work has been a great way to relate to others. It starts a discussion. In the process of sharing, I have started to see this dark place that I go as a something special rather than a character flaw. I am passionate about revealing myself honestly, in a way that encourages others to share, too. I have been pouring all of my efforts into the Devil’s Trumpet show in March at Provenance Gallery. I am really excited for the opening as well as the artist workshop I will be facilitating. Beyond that, I plan on experimenting with incorporating light into my work this spring. I am currently very interested in burial customs and cristata cacti. We’ll see where that takes me. I find inspiration in my garden. It’s an obsession, really. I am very drawn to unusual plants: night-bloomers, succulents, toxic plants. These “creatures” of mine often make appearances in my artwork. Working with my plants is another self-soothing passion that was passed down through the matriarchs in my family. While not a visual artist, Gabriel Garcia Marquez will always be at the top of my list. His imagery is so vibrant that the stories are closer to experiences for me. His characters haunt me. I catch myself re-reading and re-reading and re-reading. Gabo forever! 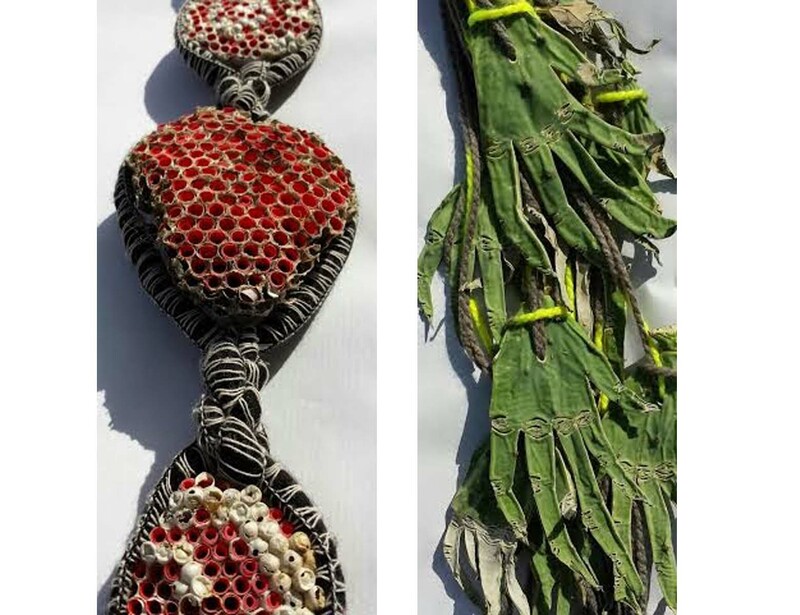 At the moment, I really admire the fiber and assemblage work of Monica Canilao. 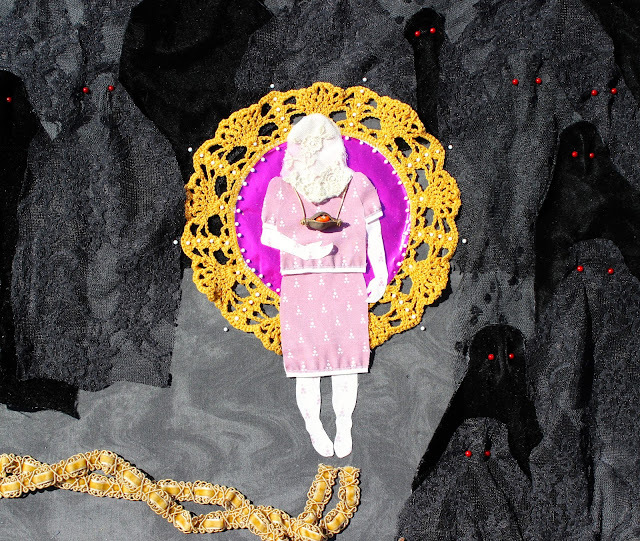 And Katy Horan’s subject matter speaks right to my witchy heart. Flores will be the featured artist at Provenance Gallery in March. Join us for the opening reception on March 12th. You can read more about Flores' work, process, and inspiration on her blog, www.jaguar-opossum.blogspot.com or on Instagram @audflo.